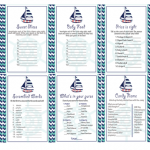 Printable Navy Blue and Turquoise Nautical themed games to play at a baby shower. 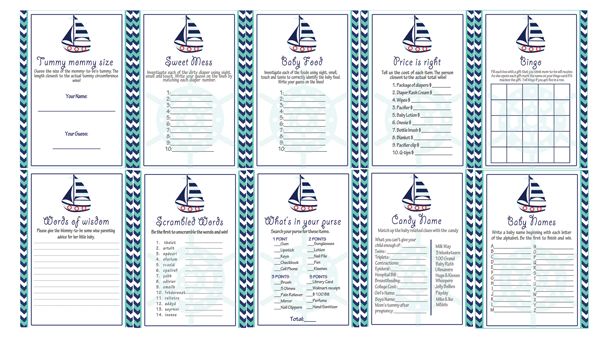 Your guests will set sail for some good time with this bundle of fun to play easy baby shower games. 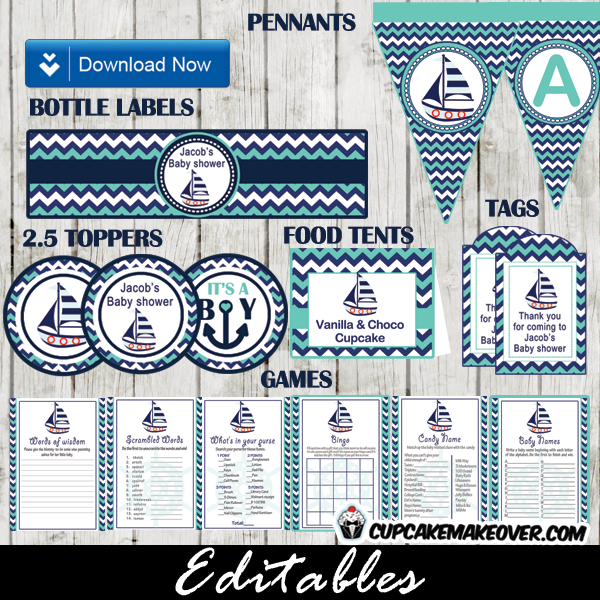 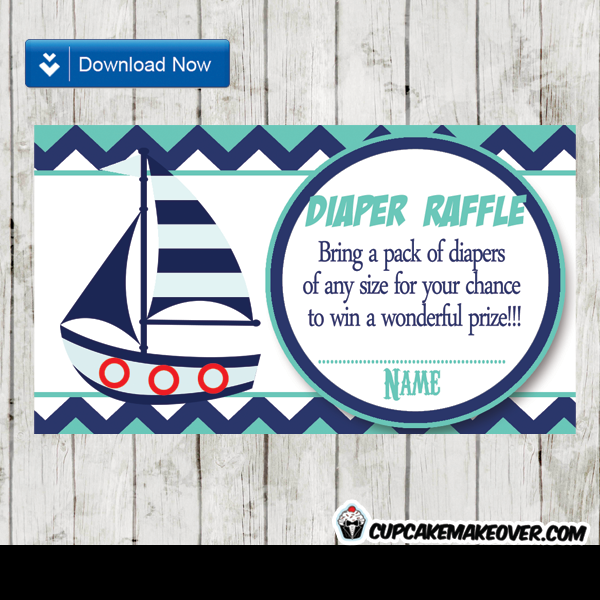 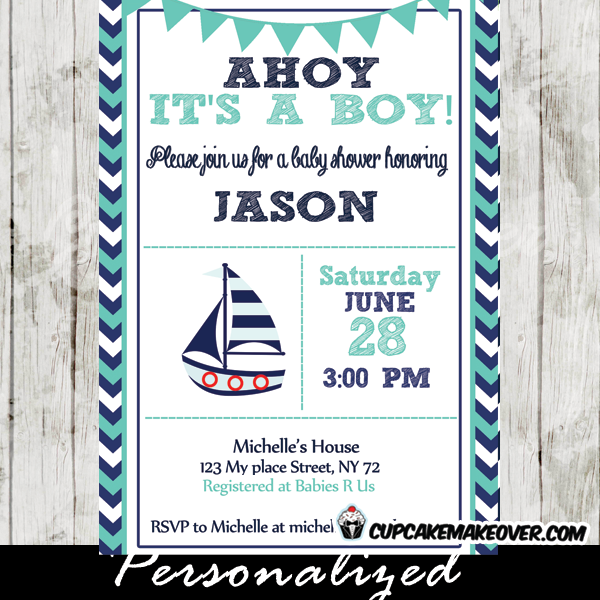 The Nautical baby shower games feature a sailing boat in a delightful turquoise, navy blue and white color scheme against a chic zigzag patterned chevron background.